Illuman is an international men’s organization founded by Fr. 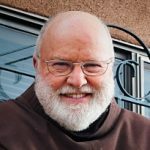 Richard Rohr, OFM. Several Illuman Chapters exist across the U.S. and the world, of which Southern California (Illuman SoCal) is one. Richard Rohr narrates the founding and history of Illuman and the vision of men’s work in the accompanying video. Click here to learn more about Illuman and the Journey of Illumination by watching the video, “Journey:Together.” We’d greatly appreciate your sharing the Journey: Together video on social media and liking it on YouTube.